The festival is Nov. 10-11. Admission is free. Prior to the festival, a promotional event for the festival is being held at Sejong Center for the Performing Arts in Seoul from Thursday to Sunday, where sales and tasting of gwamegi are available. For more information in Korean, English, Japanese and Chinese, call travel hotlines at 1330. The homepage (guamegi.or.kr) is only in Korean. 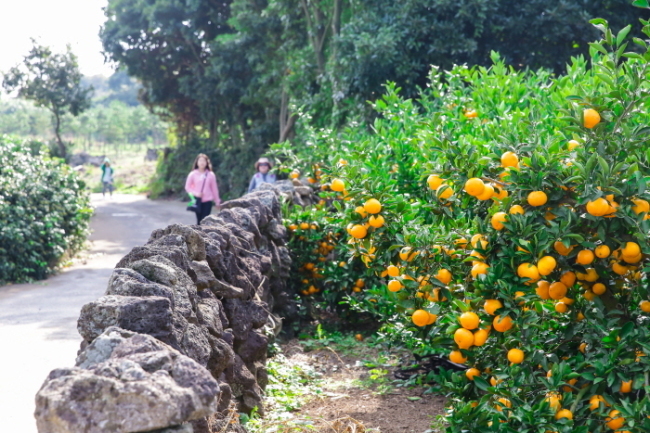 The Jeju Olle Walking Festival is held in the fall when Jeju’s nature is at its best, offering an opportunity to walk around Jeju Island. The festival which started Thursday runs through Sunday. The festival offers programs, Jeju delicacies and performances, including a music performance, cultural arts program, hands-on program and more. Admission fees are 20,000 won for those who preregister and 25,000 won for on-site registration. It takes about three to six hours of walking per course. For more information in Korean, English, Japanese and Chinese, refer to the homepage at www.jejuolle.org/main.do. 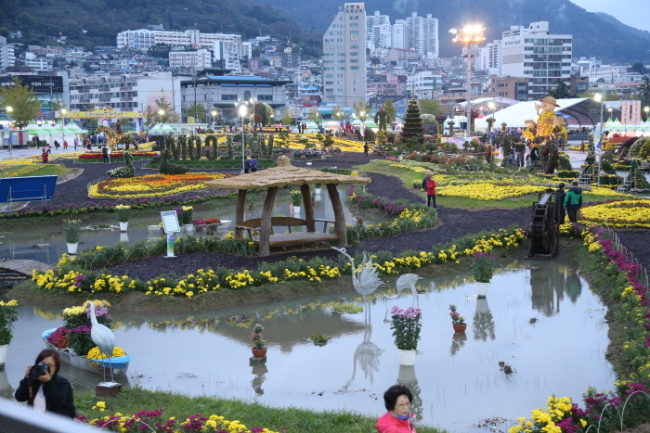 The Masan Gagopa Chrysanthemum Festival has been held since 2000 to promote Masan’s famed flowers. The event began Oct. 26 and continues to Nov. 8, from 9 a.m. to 10 p.m. daily. Entrance is free of charge. For more information in Korean, English, Japanese and Chinese, visit culture.changwon.go.kr. 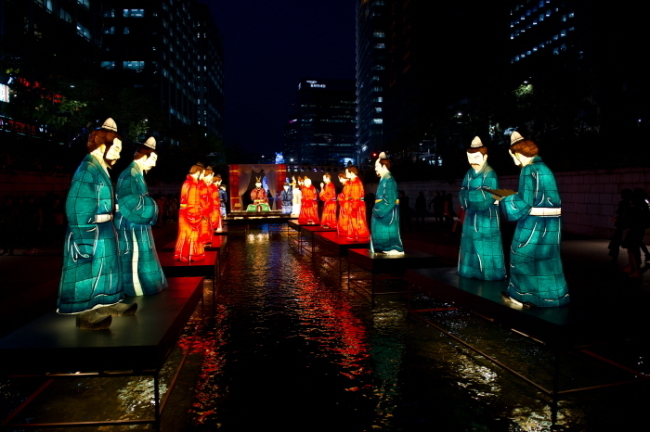 For more information in Korean, English, Japanese and Chinese visit www.seoullantern.visitseoul.net. 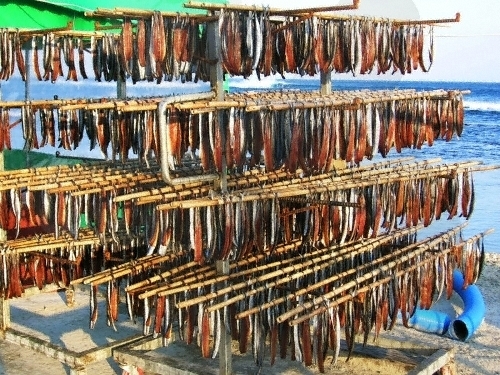 The Mindungsan Eulalia Festival has events including weekend mountain climbing, talent contests, “Arirang” singing contests, eulalia music concerts, a Mindungsan Gate ball competition and eulalia photo exhibition. Hands-on programs at the festival include a local food program, postcard sending and mountain horseback riding. The event is open to visitors of all ages through Sunday. 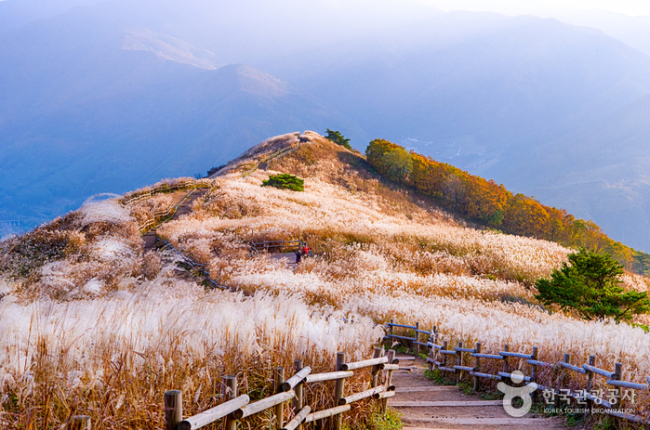 For more information in Korean, English, Japanese and Chinese, visit the homepage at jeongseon.go.kr.